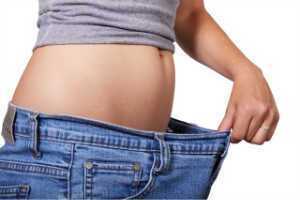 In most cases we embark on a diet with the goal of loosing a few kilograms – often with an end date in mind. It’s hard. We try to cut out so called fattening foods – cakes, alcohol, fats – leaving us with a feeling of deprivation (or even hunger). Not surprisingly, many of us “cheat” – we sneak snacks and treats forbidden by the diet. In many cases, we fail to meet our weight loss goal. In the rare case of success, we may loose weight – only to revert to our previous bad habits and put the lost weight almost immediately. Many data quality projects follow a similar pattern. We set a target date to “clean up our data” – revisit our processes, do root cause analysis, assign issues to various operational staff to fix. It’s hard. The remedial work is boring, it cuts into time available to deal with immediate operational issues, and it has no obvious reward. Sustainable weight loss requires a change in life style. We need to eat a satisfying, balanced diet that is satisfying (leaves us feeling full) and does not cause us to over eat. The popular Banting diet is one such program. We need to build data quality into each interaction, seamlessly and without creating additional work for hard pressed operational staff. Enterprise data quality tools, data quality processes and meaningful data quality KPI’s all have a role to play in shifting from unsustainable to ongoing data quality. Good points Gary. This is why I feel that we need to ensure that ongoing data governance becomes a part of any data quality initiative. To extend your analogy, it is easier to lose weight than to maintain it. With continuing data governance, we can ensure that the improved data quality becomes the new ‘normal’ for everyone in the organization.